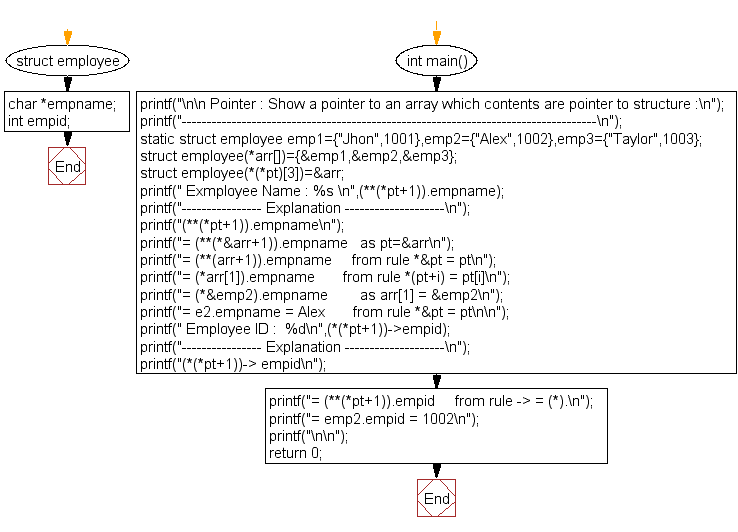 Write a program in C to show a pointer to an array which contents are pointer to structure. 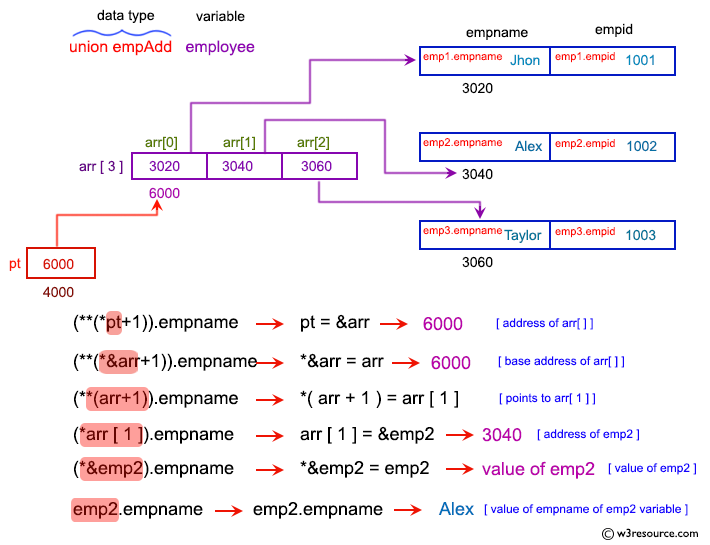 = (**(*pt+1)).empid     from rule -> = (*). Previous: Write a program in C to show a pointer to union. Next: Write a program in C to print all the alphabets using pointer.